Touchscreens? Seen ’em! The Wiimote? Old news! Gamepads? Please. In San Francisco this week, a nonprofit group dedicated to neurogaming — the intersection of brain science and videogame playing — is taking its turn at bat in predicting the next wave of game-changing technology. 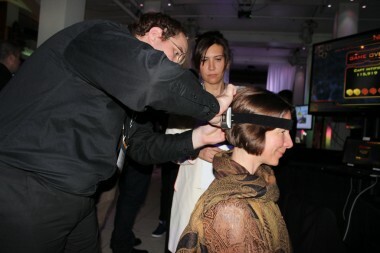 The conclusion of the NeuroGaming Conference and Expo’s organizers, unsurprisingly, is that hardware and software that monitor and respond to your body’s electrical and chemical signals will do for games what synchronized sound did for movies. Zack Lynch, CEO of the neurotech industry’s trade group, said the end goal is to create a new, deeper category of games. Experimental sensors that could estimate a player’s emotional state by, for instance, calculating the pH of their sweat. But questions about the technology’s future abounded throughout the first day of the conference on Wednesday. At the root of all their caveats was a single point of potential failure: those pesky consumers. And the neurotech industry may even need to reconsider its vocabulary, said Chris Petrovic, the former general manager of GameStop’s “Digital Ventures” arm. Those terms, he explained, connote an invasion of one’s body and may seem scary to those unfamiliar with the technology — that is, almost everyone. A few of the speakers and numerous attendees (Lynch said about 300 registered for the conference online) suggested that the best immediate hope for brain-powered technology is not consumer gaming at all, but rather improvements in the places where it has already succeeded, like clinical therapy for those with limited mobility or as a teaching aide for children with mental disorders like ADHD. The problem is that most brain-training games are just, well, boring, said Petrovic’s fellow panelist Roger Quy, a general partner at Technology Partners. A popular refrain throughout the day was that without great content, all attempts at neurogaming would be doomed to the same fate as 3-D TV, which fizzled despite enormous hype and investment. Union Square associate Nate Hennings added that games targeted at a niche of enthusiasts may prove to be a testing ground for the mass viability of neurotech, just as the Tesla Roadster laid the groundwork for cheaper versions of the electric cars. The dream, though, is that one of the companies represented at the conference will come up with a device that immediately “clicks” with consumers, as the Wiimote did starting back in 2006. 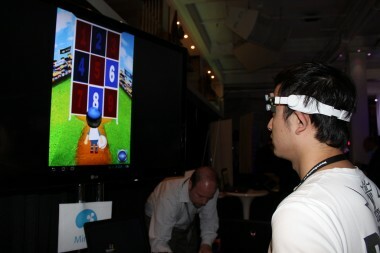 To that end, perhaps the most important axiom to measure future brain gaming products’ success came out of Yang’s appearance earlier in the day.